January | 2011 | Words. Sentences. Stuff. Given a choice, it’s always better to go in to a movie with little in the way of prior knowledge or expectations. Knowledge fuels disappointment. Expectations have a habit of being dashed. Sometimes, though, UK release dates and Oscar / BAFTA schedules conspire and like it or not, you find yourself settling down to a film that you know has a barrow load of nominations. Surely it must be pretty good? I mean these are the Oscars we’re talking about. These are the BAFTAs. In short, yes. It is pretty good. Phew! Natalie Portman plays Nina, a ballerina who is committed and talented enough to achieve a mechanical perfection but lacks passion and spontaneity. When she lands the role of the Swan Queen in a new production, everyone agrees she’s perfect for the White Swan, but she must tap into these hidden qualities for the role’s alter ego, the titular Black Swan. It’s clear from early doors that all is far from well in Nina’s life. Sexually repressed, self-harming and in her twenties, she lives at home with a domineering and potentially abusive mother (Barbara Hershey with craziness cranked up to the max), amother who lives vicariously through her success yet seems oddly comfortable in playing the same successes down. Vincent Cassel (Irreversible) plays the stereotypical grumpy / sleazy director who urges Nina to let go of herself to find the emotion she needs to achieve greatness. On top of this comes the arrival of a rival dancer (Mila Kunis) whose free-spirit seems to epitomise the mood of the Black Swan. As the film progresses, we become aware that the cost of these pressures and of Nina tapping into this repressed side of her psychological make-up is her sanity and to succeed in “losing herself” will result in precisely that. Portman truly earns her Best Actress nomination and it’s hard to imagine her not picking up a haul of gongs but it’s a very unsettling performance. Hardly surprising given that we’re watching someone in mental decline and the desperation and panic she brings to the role is haunting to say the very least. Director Darren Aronofsky (The Wrestler) somewhat relies on contrasts throughout the film, perhaps a little too easily at times, but visually it remains an intense, exciting and exhausting 108 mins and oddly enough, a lot of that has to do with the ballet sequences. There’s a lot of ballet in it. An awful lot. But for someone who has never sat through an entire production or had much in the way of interest, it’s done in such a way that it’s quite a visceral medium. Perhaps all ballet is like this, but it came as a surprise to find those sequences so engaging and moving when the expectation was firmly on the other end of the spectrum. Special mention goes to Winona Ryder who is fantastic as the bitter, pushed-out, slightly over-the-hill, former star and features in perhaps the pick of the many wince-inducing disturbing scenes. Those with nail and feet and stabby thing phobias should take special care. 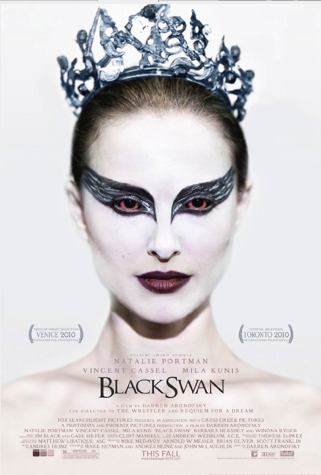 I’d be hugely surprised if Black Swan picks up Best Movie or Best Director — there were better movies, better directed in 2010 — but it’s a uniquely disturbing experience and if anyone has any doubts over the emotional effects of classical music, certainly in recent history, there’s surely no better advertisement. There’s no two ways about it; Neds is a tough movie to watch. How tough? Well, let’s see. 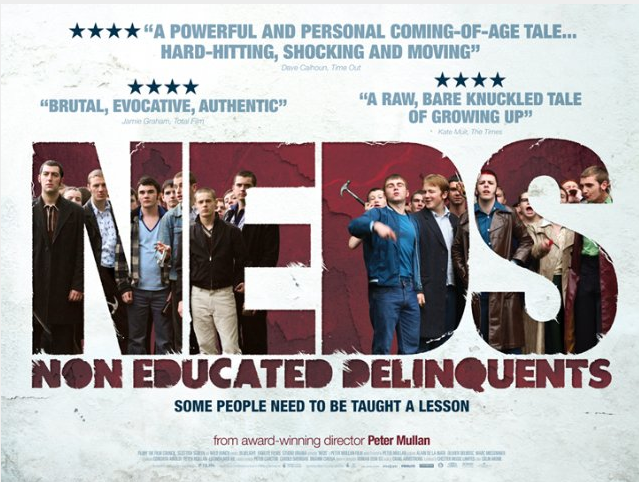 Neds — which we’re to understand stands for Non Educated Delinquents — follows John McGill (an outstanding performance from Conor McCarron) who has so far managed to flourish intellectually in the shadow of an alcoholic father, a thuggish brother and the uncompromising environment of a Glasgow housing estate in the 1970s. On the final day of Primary School, he picks up a top pupil award and then runs into a random bully who explains, in colourful terms, exactly how many strips John will be torn into when he gets to the big school. At this point, a mere four or five minutes in, we’ve had more Fs and Cs than you’d find in your average Scrabble tournament and the Tough-o-meter is pretty much screaming off the scale. If nothing else, director Peter Mullen (The Magdalen Sisters) knows his source material. The Glasgow of the 70s is so accurately portrayed and witnessed through a hazy, almost out of focus lens, you could be forgiven for thinking the film is actually 40 years old. The lexicon, while exceedingly swearmungous, is authentic. And it’s the little touches — the charity dog outside the chemist, the old crisp wrappers, the giddy height of the hem on the jeans — that really cement the viewer in this timeframe. Continuity-wise, and in stark contrast with the troubled youths portrayed, the film doesn’t put a foot wrong. So it’s with a loving eye that we follow John on his inevitable descent from gifted pupil to violent gang member and it’s here that the film manages to be a stunning revelation and slight disappointment, all in the one breath. McCarron is utterly spellbinding in the lead role and conveys naïvety, vulnerability, mania, rage so efficiently and sometimes with little more than an arched eyebrow or a scowl. However, the fact that the young lad can go from protégé to violent gang member within the space of six weeks seems a stretch and given that this is a pivotal moment, it does tend to taint the scenes that follow, even when the matter is addressed full on in a charged Latin class led by Steven Robertson (The Tourist). The largely unknown supporting cast are equally at home with the heavy dialogue, even if they aren’t asked to cope with as much in the way of a narrative arc as McCarron, and the young lad who plays the bespectacled Wee T provides some uneasy comic relief. Oddly, it’s Peter Mullen’s performance as John’s alcoholic dad that really misses a beat as he tries to cram every Glaswegian stereotype behind his NHS glasses and tatty suit jacket. Mullen — who also wrote the script and probably made the tea and swept up afterwards — is wise enough to offer little in the way of redemption for John. To do otherwise would betray the real John McGills out there but the movie’s close, in the middle of a safari park, manages to be both poignant and significant even if the audience — battered and bruised from the preceding two hours — is left with the sense that any optimism will surely be temporary. So tough. Yes, without a doubt. 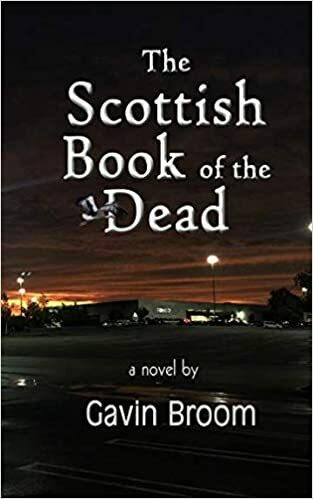 It’s a flinching, look-away sort of experience but as worthwhile as Scum or Trainspotting and an unsettling reminder of inner city life in Scotland not so long ago.